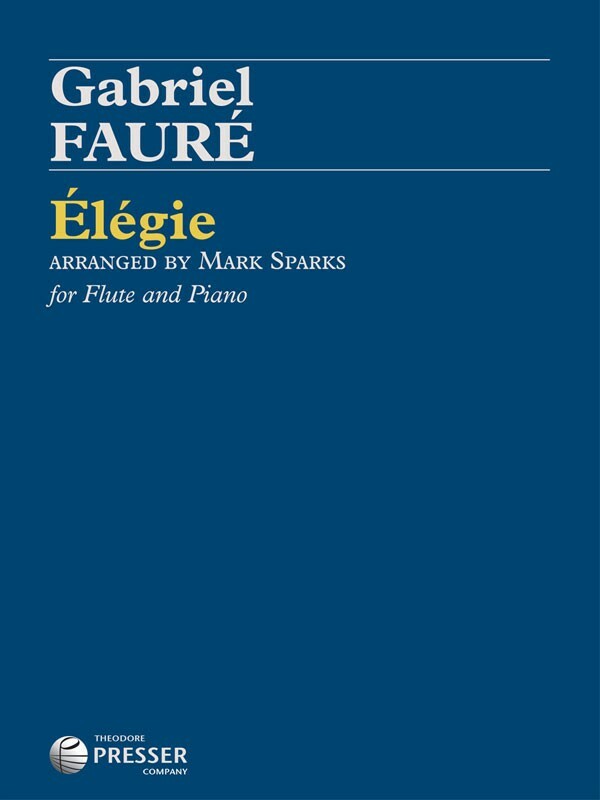 Fauré’s celebrated Élégie for Cello has been gracefully and elegantly adapted by Mark Sparks, principal flute of the Saint Louis Symphony. 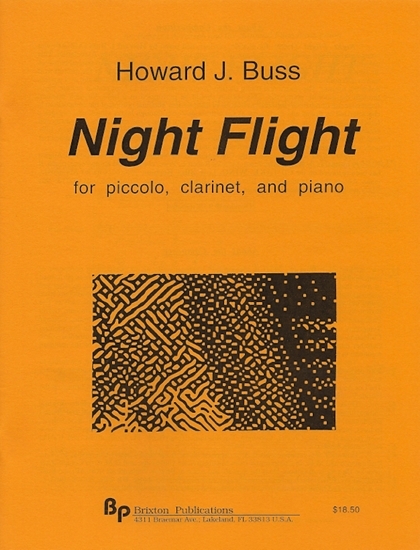 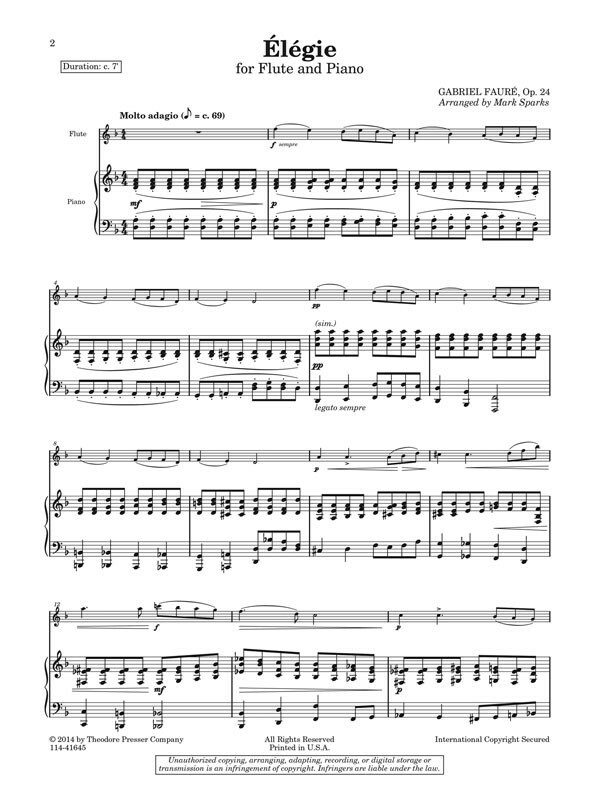 Transposed to D minor to maximize richness and sparkle, flutists now have a “new” work by Fauré in the repertory. 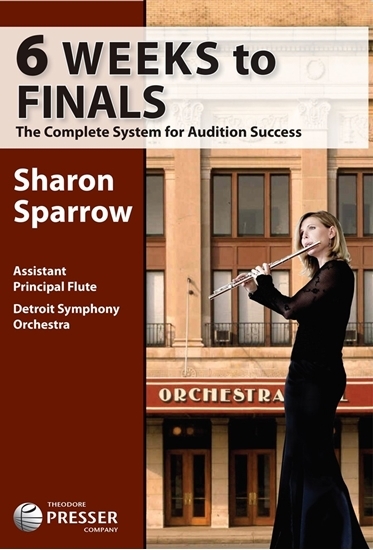 For advanced performers.